For extended-range precision shooting, Remington Express Match is hard to beat. 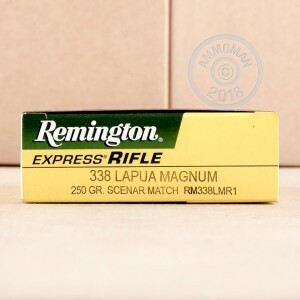 These powerful .338 Lapua cartridges propel a 250 grain hollow point boat tail Scenar match bullet to a muzzle velocity of 2,960 feet per second, delivering incredible accuracy over long distances. When accuracy is your biggest concern, this ammo will have your back. 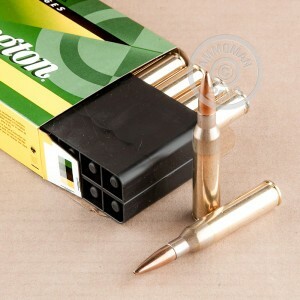 Place an order for $99 or more to qualify for free shipping from AmmoMan.com!